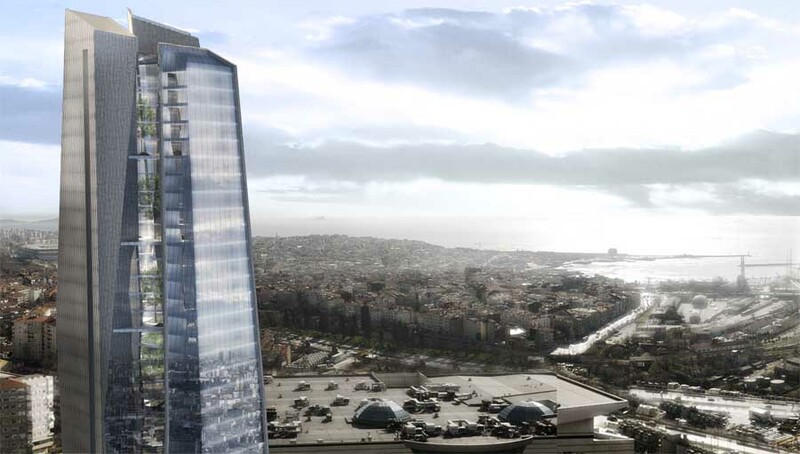 The Regnum Tower, a new landmark for the eastern side of Istanbul, has been planned according to rigorous environmentally sustainable criteria. 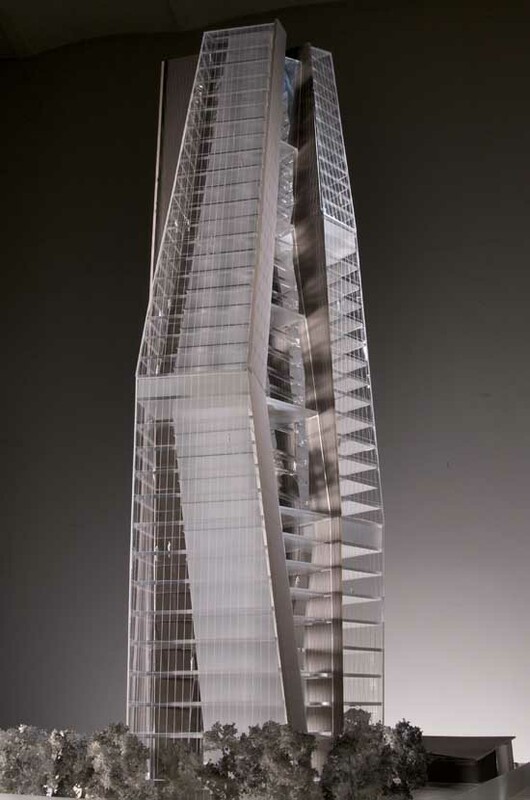 The 145-metre high building consists of 36 floors, 9 of which are allocated for offices and the remainder for residential units. 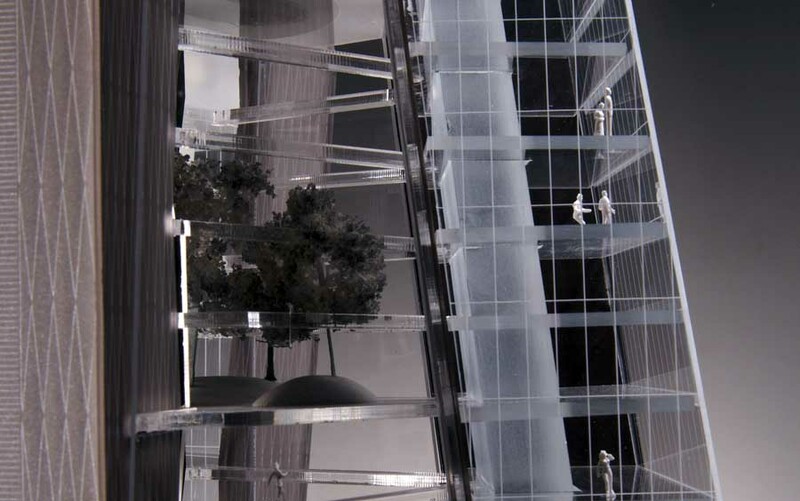 The division of the building into separate five-floor sections allows for the development of open-level common areas each containing bio-climatic glasshouses which, together with the panoramic views over the city and the suspended walkways linking the internal spaces, creates a spectacular effect. 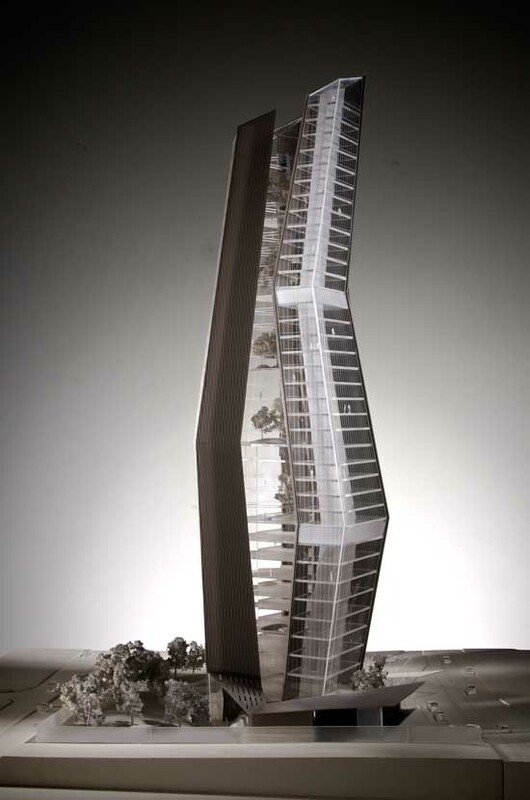 The sinuous form of the tower consists of three main elements united around a central transparent volume and its various façades change according to the position of the viewer. 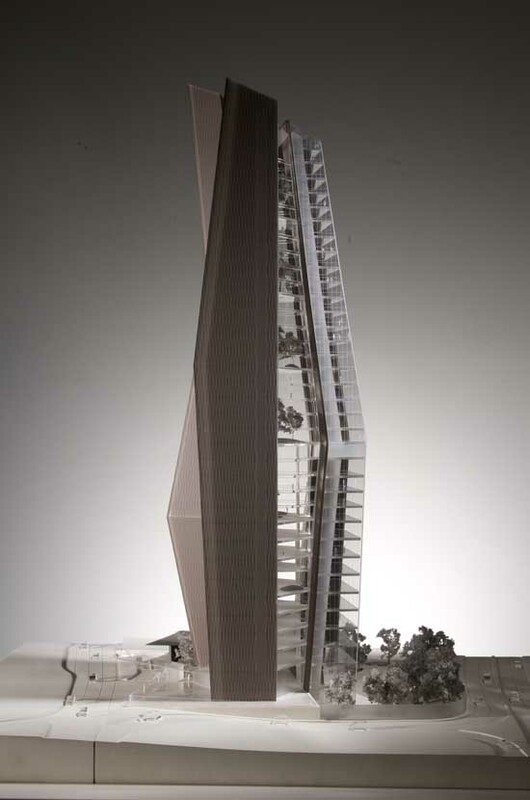 The vertical distribution is organized around two staircases, one reserved for the offices, the other for the residential units. A penthouse has been designed for the top three floors and the attic is characterized by spacious balconies with panoramic views over the city. 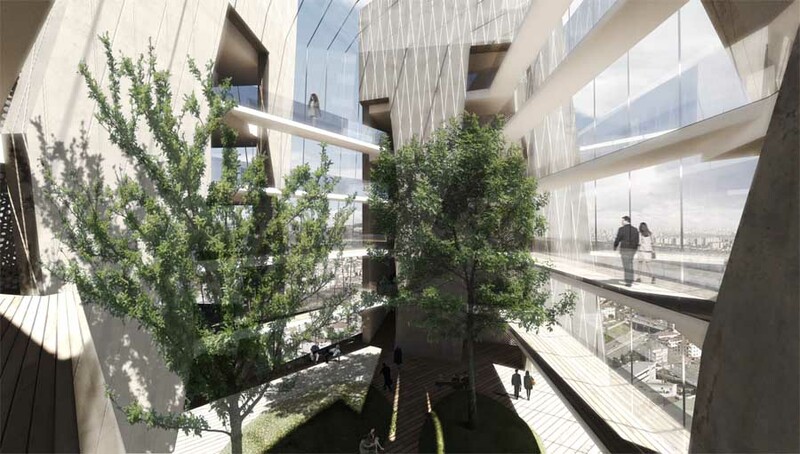 Besides a bistro restaurant in the first two basement floors and the conference rooms on the ground floor, the project also includes a swimming pool, a gym and a restaurant on the 24th floor.